Name of music institute - BlueTimbre Music L.L.P. 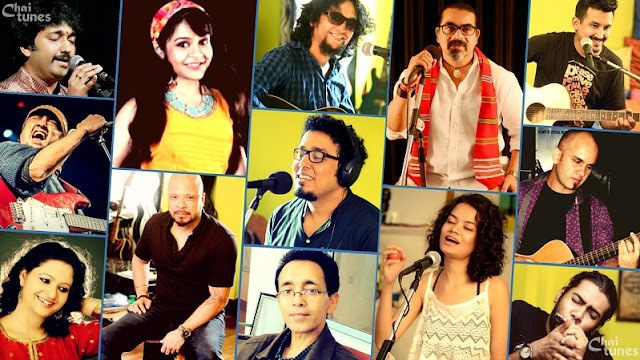 In the early 2016 Serah John and Sherin Winstent unfolded BlueTimbre Music in Whitefield, Bangalore with the sole purpose of perpetuating the love of music and creating a music culture among music enthusiasts. The institute offers courses in keyboard, piano, drums, guitar, vocals and the Junior Music Program (JUMP) in western classical and contemporary music. While Serah manages the business, sales and marketing part, Sherin manages the music quality, music teachers, curriculum and execution of programs of the institute. Apart from music education, the institute has its own jam room and recording facilities. The Junior Music Program (JUMP) has been especially designed for kids aged between 5 and 7 years. The program introduces young children to the fundamentals of music and instruments. It gives them an understanding of melody, rhythm and music notes using a combination of smaller instruments like xylophone, tambourine, shakers, recorder etc. JUMP also helps determine a child’s musical talent and interest in a particular musical instrument that s/he can pick up to learn. The programs offered by BlueTimbre are based on the RockSchool, UK curriculum. The course helps in nurturing a student’s knowledge of music, technique of playing a instrument, reading music and composing music. The music courses are designed to construct creativity while having fun that is inherent to music. The students get to play with backing tracks, jam with fellow classmates and teachers and get to be a part of a band as well. The students can also avail the facilities at the in-house state-of-the-art recording studio to create music. BlueTimbre has a state-of-the-art jam room for new and professional bands to carry out their practice sessions in a quite environment. Bands can rent out this space for practice sessions mainly. The facility also provides live recording of the practice sessions and bands can avail packages for the same. BlueTimbre officially launched it’s recording studio in August, 2016. 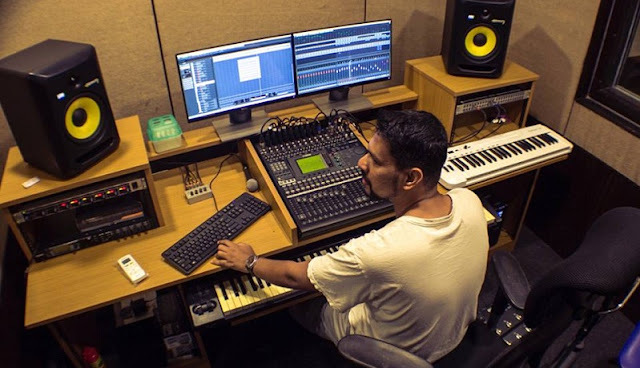 The facility has modern and contemporary amenities and address to all kinds of needs of a music enthusiast who is looking to record his demo or professional music. Rates vary based on the type of recording. A musician can hire the facility for Karaoke Recording, Track(s) Recording, Instrumental Recording, Jingle Recording, Background Music and Film Score, Film Dubbing, Product Demo Video Recording, Voiceover Recording, Audio Book Recording, Video Editing, Story Telling (Kids), Rhyme Recording (Kids), Mixing and Mastering. Serah John is the Business Head of BlueTimbre. She is an Engineering graduate from BMS College, Basavanagudi, Bangalore and an MBA holder from the Simon School of Business, University of Rochester, New York. She has several years of experience in business management, marketing and sales including setting up different businesses. She is a vocalist for 'The Black Hats'. Sherin Winstent is the is the Music Head at BlueTimbre. He is an MBA holder from Glyndwr University, University of Wales, UK. Sherin is a Music theory master and has achieved the eighth grade in Guitar from Trinity College of Music, London. He is currently pursuing his Diploma in Music at RockSchool, London, UK. He combines his sales and marketing experience into running the music division at BlueTimbre. Lionel D’Mello is a piano/keyboard expert, sound engineer and performer. He holds the Guinness Book of World Records for continuously playing the keyboard for 48 hours. He possesses several top international certificates in music education. He is a Audio Engineering graduate. Carol Rodrigues is a music teacher and helps in developing and managing the Junior Music Program (JUMP) curriculum at BlueTimbre. By combining her knowledge and love of music with her experience with children, she brings her passion into the Junior Music Program that is specifically design for young children in order to introduce them to music in a fun, engaging and structured manner. She has more than a decade of experience in teaching and developing curriculum. One can get in touch with the management at +91-9686211488 or +91-9686433788 for music education or music recording purposes.